Join Nickelodeon UK & Ireland in 2019 for BRAND NEW EPISODES, an ALL-NEW SHOW, an EPIC NEW SPECIAL and LOTS MORE! This February, get prepared for Valentine's Day with a Henry Hart-Attack! Kicking off with two brand-new heart crashing episodes of Henry Danger and Game Shakers! It's all part of Hart Attack Week, starts Monday 11th February 2019 from 5:30pm, only on Nickelodeon UK & Ireland! Monday 11th February 2019 from 5:30pm - Meet Cute Crush: Henry and Ray try to help Piper carry out a "meet cute" with a new boy she likes from school. This February half-term, Nickelodeon invites you to hang out and play games with superstar JoJo Siwa whilst taking a look at some of her favourite guest star episodes, including School of Rock and The Thundermans! Catch Nick's Ultimate JoJo Takeover with JoJo Siwa, starts Monday 18th February 2019, only on Nickelodeon UK & Ireland! Visit nick.co.uk/jojo for more JoJo! Saturday 12th January 2019 at 11:00am - Sisters on a Roll v Synergy Skaters: Two teams compete in new, messy challenges of classic games, the water balloon and egg toss! One team earns a shot at the obstacle course. 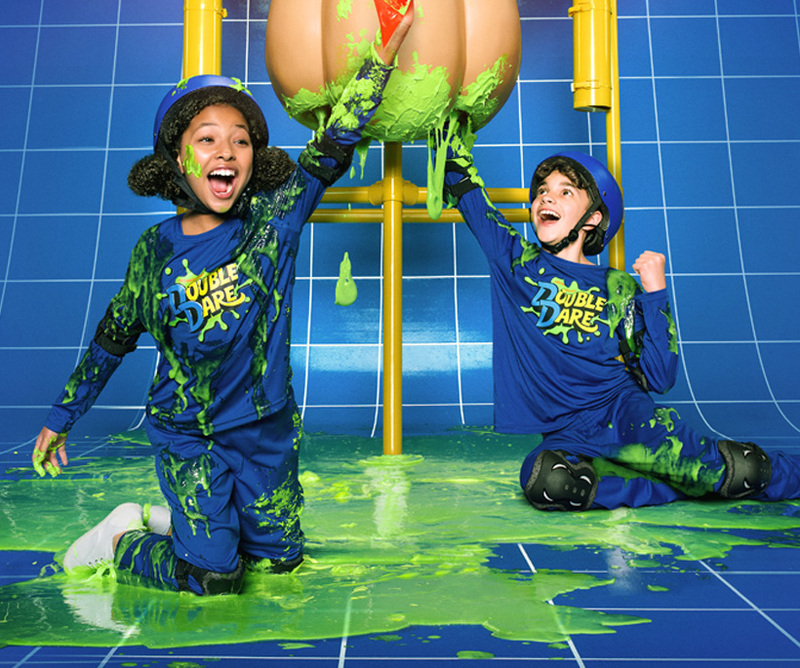 Sunday 13th January 2019 at 11:00am - Kickin' Cousins v Seeker Savages: Cousins take on siblings in a series of messy challenges that test their teamwork! One team's special bond propels them into the final round! Saturday 19th January 2019 at 11:00am - A-Team v Team Peanut Butter: Siblings take on best friends in a series of tossing games. And both teams realize they need to practice their aiming skills! Sunday 20th January 2019 at 11:00am - The Mad Dogs v Line Drive 25: Aim is the name of the game as best friends take on cousins in a series of squirting, throwing and stacking challenges. The teams are neck and neck! 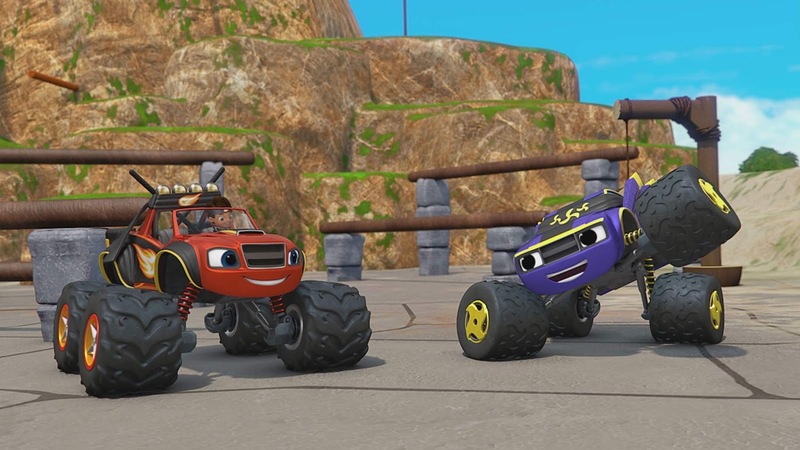 Saturday 26th January 2019 at 11:00am - Team Rico v Team Raini: It's a family reunion! Rico Rodriquez and his teammate take on Raini Rodriguez and her partner. It's a sibling rivalry until only one wins! Sunday 27th January 2019 at 11:00am - The Odd Couple v Gruesome Twosome: Best friends take on step brothers in a series of edible challenges as they catapult giant pancakes and become human-sized bowls of fruit punch. Saturday 9th February 2019 at 11:00am - Team Laurdiy v Team Wassabi: YouTubers team up with their fans for fun and messy head to head challenges! Sunday 10th February 2019 at 11:00am - Football Fanatics v Bow-Tie Boys: Sibling teams go head to head in a high-scoring game filled with running, launching, and aiming challenges. Saturday 16th February 2019 at 11:00am - Avocado Armpit v Bob 2: It's friends vs. friends in an epic challenge! Each duo's trivia skills, strong physical expertise, and nifty teamwork leads to a neck and neck competition. Sunday 17th February 2019 at 11:00am - Double Scare: In this Halloween special, friends take on twins in a series of classic challenges with a spooky twist! And only one team gets to compete in the ghostly final round. Saturday 23rd February 2019 at 11:00am - The Mighty Tweens v The Super Scouts: Best friends take on a team of boy scouts in a series of tossing and racing challenges. Sunday 24th February 2019 at 11:00am - The Singing Prancers v The Strikers: Friends go head to head against cousins in a series of crazy time sensitive challenges. Saturday 2nd March 2019 at 11:00am - Boardgame Bros v X-Treme Team: A team of athletes takes on an extreme girl group! It's a game of boy versus girls until one team's brain power moves them forward to the final round! Sunday 3rd March 2019 at 11:00am - Fashionistos v Buzzer Beaters: A team of clothes obsessed besties take on two competitive basketball players in a series of edible and messy challenges! Saturday 12th January 2019 at 3:00pm - The Red Carpet: Diamond and Sophia convince Beth to go to a glitzy LA event with Craig after Phoenix convinces his father to ask her. Will this risky move get them to admit their romance? Saturday 19th January 2019 at 3:00pm - The Creth: When new celebrity "it couple" Beth and Craig attract the paparazzi, Sophia and Beth's once-simple lives are turned upside down. Sophia is determined to remove the problem. Saturday 26th January 2019 at 3:00pm - The Engagement: When Sophia and Diamond discover Craig is planning to propose to Beth that evening, they set out to ensure it's the best, most romantic proposal ever! Saturday 2nd February 2019 at 3:00pm - The Fall of the Owl: When Sophia, Diamond and Phoenix offer to take care of The Falling Owl Cafe while Ginger's away for the weekend, the kids each attempt to run things their own way! Saturday 9th February 2019 at 3:00pm - The Camping Trip: Craig and Diamond are excited to tag along on Sophia and Beth's annual camping trip. But Diamond feels completely out of her element in the outdoors! Saturday 16th February 2019 at 3:00pm - The Boys v the Girls: When the boys are forced to temporarily stay at the main house, the girls lay down some ground rules. But the boys refuse to oblige and make rules of their own! Feels like things are getting real... AGAIN! Nickelodeon’s serialized live-action show I Am Frankie returns with a brand-new second season starting Monday 25th February 2019 at 6:30pm on Nickelodeon UK & Ireland, continuing the story of Frankie Gaines (Alex Hook), a cutting-edge, experimental android who looks like any other human girl, but harbors a big secret--she functions as a high-tech computer with internet access, extensive memory and more! Ahead of its season two debut, Nick UK & Eire will air a epic one-hour I Am Frankie special on Monday 7th January 2019 at 6:00pm! The special, entitled "I Am... Eliza", will see Frankie go head-to-head with Eliza, another android who has been out on her own and wreaking havoc on the world, in the ultimate android showdown! In need of an I Am Frankie software update before the brand-new I Am Frankie special? Relive all the best moments from I Am Frankie 1.0 whilst waiting in the super video below, plus catch up on season one on Nickelodeon on Demand, and watch clips from the first season at nick.co.uk/iamfrankie and the Nick Play app! Make sure to Keep a watchful eye out for EPIC mini games with I AM Frankie, coming soon on nick.co.uk/iamfrankie! Monday 14th January 2019 at 4:30pm - Wrestle-Mae-Nia: A misunderstanding almost causes the Quads to break-up Mae and Miles and wreck dude night where the boys are going to see Big Baby and the Three Masketeers wrestle! Monday 21st January 2019 at 4:30pm - We'll Always Have Parasites: Dawn and Mae get jobs to help pay for a trip to Paris, but things get complicated when the boys find that they can complain at restaurants to their benefit. Monday 28th January 2019 at 4:30pm - Quadspiracy Theory: When Nicky, Ricky, and Dawn discover that Britt has been hanging out with their friends without them, they start to question his motives. Each all-new episode of NRDD will encore the following weekday at 7:00am on Nick. 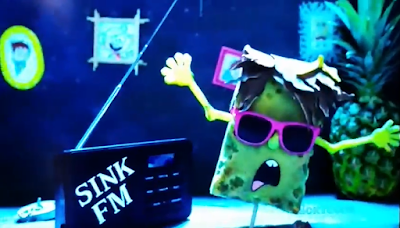 He's LOUD, he's HORRID, and he's a SPONGE! He's the Loud Horrid Sponge, and he's BACK by popular demand, fresh from cleaning the Christmas dishes! 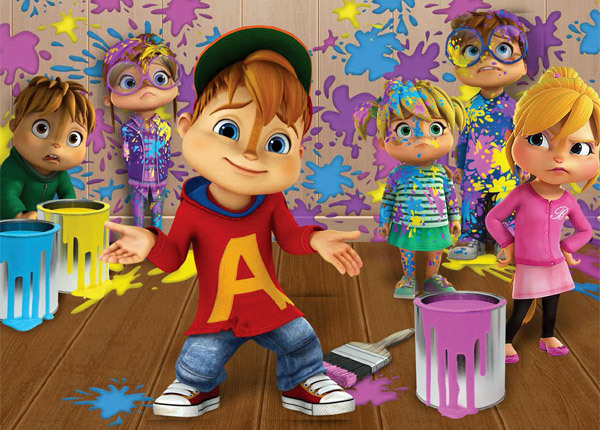 Tune into Nicktoons weekday mornings for the whole of January as Alvin, Lincoln, Henry AND SpongeBob are all taking over Nicktoons! What a great way to start the year! Play the Loud Horrid Sponge quiz here! Monday 4th February 2019 - We're Gonna Need a Bigger Cup: While Team Timbers and their friends take a break and unplug from technology, a terrifying threat named Eraser Face attempts to erase the Wayne! Tuesday 5th February 2019 - Welcome to the Wassermans: A sleepover at Wendell's turns into a hunt for a mysterious jewel, a battle with a werewolf, and Saraline's biggest nightmare: Olly is becoming a teenager! Wednesday 6th February 2019 - An Olly-Day Miracle! : Today is "Olly Day" and Olly is celebrating his made-up holiday with his biggest crush, the Arcsine! But will the Spy steal her powers? Thursday 7th February 2019 - That's Squidjit Bowling: It's the Squidjit Bowling Championship, but when Dennis gets injured, it's up to Ansi Molina to defeat the evil HuMannequins or lose his squidjit pal forever! Friday 8th February 2019 - We're the Wayniacs: Olly, Ansi and Katherine Alice start a rock band to defeat C.C. Scratch, a heavy metal Wayne Phenomenon who wants to turn everyone into musical instruments! Monday 11th February 2019 - Curious Brains of the Wayne: At the annual Wayne science fair, Olly accidentally turns himself into a fly! The Spy is using Saraline's latest science project to steal the Arcsine's powers. Tuesday 12th February 2019 - Wiles Styles You Over: Team Timbers gets a total makeover, but it changes more than just their looks. Now, Olly is super smart, Ansi is super strong and Saraline is a social media star! Wednesday 13th February 2019 - The Best Buddy I Never Had: Team Timbers travels inside a magical book that takes them back to when Olly was a baby. But when Olly breaks the book's rules, he may lose his little sister! Thursday 14th February 2019 - Some Sort of Bad Luck Curse: Saraline's best friend starts turning into an old woman and Olly blames Ansi's bad luck curse. But can Team Timbers save her before time runs out? Friday 15th February 2019 - Whoever Controls the Wayne, Controls the World: Evil Prismal is trying to take over the Wayne. Can Olly, Ansi and Saraline stop him before the Wayne and the world are covered in darkness? Monday 4th February 2019 - Career Day; The Haunted Getaway: Alvin suspects Dave of being a local bank robber when Dave starts acting suspiciously and giving the boys gifts; Dave and the boys rent a cabin in the woods for a little rest and relaxation only to find out it may be haunted. Tuesday 5th February 2019 - The Devil Wears Rodentia: Brittany's dream of being a fashion designer turns into a nightmare when she gets a job and her ideas are stolen. Wednesday 6th February 2019 - Career Day: Alvin suspects Dave of being a local bank robber when Dave starts acting suspiciously and giving the boys gifts. Thursday 7th February 2019 - Lost in Space Camp: Theodore must prove he's got "the right stuff" when the Chipmunks and Chipette's head off to space camp. Monday 11th February 2019 -: TBA; two episode segments. Butterbean’s Café - New Show! Grubs up at the Butterbean’s Café this February on Nick Jr.! Tuesday 5th February 2019 at 4:30pm - The Sweetest Ride: When Butterbean's delivery truck breaks down, Mr. Brookwrench turns it into a glittery café on wheels! Tuesday 5th February 2019 at 4:45pm - A Grilled Cheese for the Big Cheese! : When the President has to cancel her lunch at the café, will Butterbean be able to bring lunch to her instead? Wednesday 6th February 2019 at 4:30pm - Friendship Pretzels! : When Dazzle gives Butterbean a friendship necklace, Poppy feels left out. Will Poppy tell her fairy friends how she's feeling? Wednesday 6th February 2019 at 4:45pm - The Wild Tooth Chase: Cricket loses her first tooth! Butterbean gives her a box to keep it safe, but the box goes missing! Thursday 7th February 2019 at 4:30pm - Fluttercakes! : Ms. Marmalady won't let the dustman empty Butterbean's bins unless she beats her in a pancake-making contest. Thursday 7th February 2019 at 4:45pm - The Perfect Picnic! : Ms. Marmalady sabotages the Puddle Scouts' picnic with ants! Will Cricket's scout skills save the picnic? Friday 8th February 2019 at 4:30pm - Dazzle's Cake-Tastrophe! : When Dazzle is left in charge of the café, she tries to do everything herself. Will she learn to ask for help? Friday 8th February 2019 at 4:45pm - Cricket's First Menu! : Cricket's first lunch menu is ruined when all the ketchup goes missing! Will she "ketch" the culprit? Monday 11th February 2019 at 4:30pm - Wedding Cake Switcheroo: Ms. Marmalady switches her disastrous wedding cake with Butterbean's beautiful cake. Will she get all the credit? Monday 11th February 2019 at 4:45pm - Fairy Berry Parfait! : Butterbean needs yogurt for her Fairy Berry Parfaits, but Ms. Marmalady buys all the yogurt at the market! Tuesday 12th February 2019 at 4:30pm - Rainbow Noodle Soup: Butterbean is home sick. Will the crew be able to make rainbow noodle soup for their customers without her? Wednesday 13th February 2019 at 4:30pm - Pizza Party! : There's a pizza party at the caf?, but when all the kids want different toppings, will the crew get overwhelmed? Thursday 14th February 2019 at 4:30pm - The Starlight Cupcake Surprise! : The crew accidentally delivers uniced cupcakes to a customer. Will Cricket's new piping skills save the party? Friday 15th February 2019 at 4:30pm - Summer Slushies! : Butterbean has to borrow Ms. Marmalady's freezer for her fruitsicles, but Ms. Marmalady has her own plans for them! Monday 18th February 2019 at 4:30pm - Switchin' in the Kitchen! : Dazzle and Poppy each think that the other's job is easier, so they switch jobs to see! Tuesday 19th February 2019 at 4:30pm - The Breadstick Bicycle! : Cricket is learning how to ride a bike. When the Sweet Ride can't make a delivery, can Cricket ride her bike to save the day? Wednesday 20th February 2019 at 4:30pm - Monkey Cookie Escape! : When a magical mishap makes monkey cookies come alive, the crew has to stop the cookies' monkey business! Thursday 21st February 2019 at 4:30pm - The New Neighbours! : The fairy friends leave a welcome basket for their new neighbours. Will Ms. Marmalady take their warm welcome for herself? Friday 22nd February 2019 at 4:30pm - Butterbean Babysits! : Butterbean offers to babysit a toddler for the day, but it turns out to be harder than she thought! Monday 7th January 2019 at 6:00pm - Ninja Blaze: Ninja Master Blackbelt is training Blaze and AJ to be powerful ninjas when Crusher and Pickle accidentally launch themselves onto a mountain! Now Blaze and AJ must rescue them. Monday 14th January 2019 at 6:00pm - Pickle Family Campout: When all the members of Pickle's family get lost in the woods, Pickle teams up with Tow Truck Blaze to come to their rescue! Monday 21st January 2019 at 6:00pm - Darington Saves the Circus: Blaze, AJ, and Darington are in the front row for the amazing Chicken Circus! But Crusher accidentally launches the chickens far, far away! Monday 28th January 2019 at 6:00pm - All in a Blaze Work: At the Axle City Fair, Blaze and AJ realize they don't have enough coins to use the new Supersize Prize Machine. So to earn money, Blaze gets three different jobs! Monday 4th February 2019 at 6:30pm - A Pirate Genie's Life for Me: The girls join Zora, the Pirate Genie, on an adventure to find a magical Rainbow Pearl to power her ship. Monday 4th February 2019 at 6:45pm - Wacky Wishes: Zeta takes a crystal with random wishes inside it and uses her magic to make it grant the wishes for her. Monday 11th February 2019 at 6:30pm - Oceans Collide: When Zeta takes some of Ula's powerful gems, Shimmer, Shine, Leah, Nila and Ula must work together to stop her. Monday 11th February 2019 at 6:45pm - Par-Tea Time: When the girls go looking for the Zahramay Tea Flower, they run into cute little Fuzzle Whuzzles who complicate their quest. "My name is Truman Faxfinder. Most people call me… TRUFAX! TOT COP!" Join the world’s cutest tot detective on his noir-influenced adventures as he solves preschool mysteries. Well, when he’s not on nap time or dancing in his PJs. 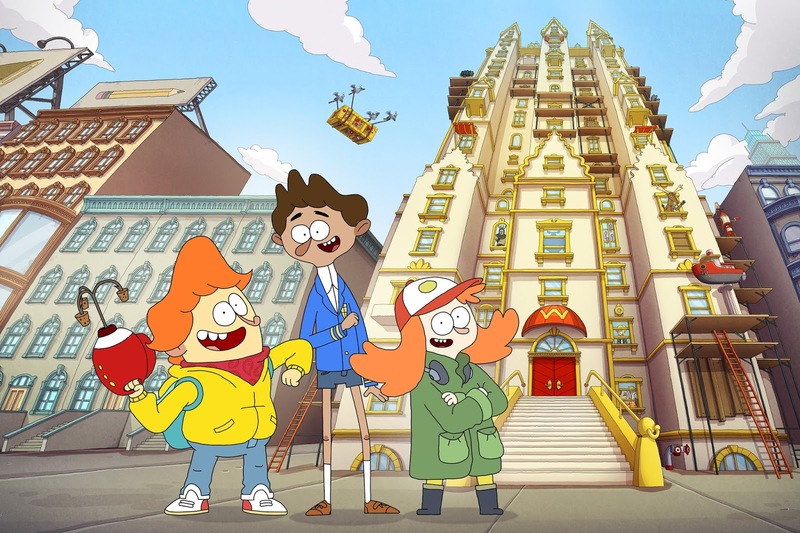 Trufax Tot Cop is created by Jason and Méabh Tammemägi and produced for the Nickelodeon Shorts Program by Mooshku. Coming this January to Nick Jr.! Monday 7th January 2019 at 7:15am on Nick Jr. Too - The Case of the Missing Flowers: Tot Cop and Officer Ruth are on patrol when they spot flowers missing from the garden. With shady suspects, they'll have to solve the case in a hurry! Tuesday 8th January 2019 at 7:15am on Nick Jr. Too - The Case of the Disappearing Necklace: Mom's favourite necklace is missing. Tot Cop races to the jewellery stand, but it's missing! It's up to our investigative duo to find the answer! Wednesday 9th January 2019 at 7:15am on Nick Jr. Too - The Cake Caper: Tot Cop and Officer Ruth pull up to Cookie Dog's diner just in time to protect a special cake from the Finger Monsters. But the cake disappears right under their noses! Thursday 10th January 2019 at 10:45am on Nick Jr. - Operation - Find Fuzz: When Tot Cop and Officer Ruth learn that Sprinkles' best friend Fuzz has been taken by a robot vacuum cleaner, they race to get Fuzz out of the robot's belly! 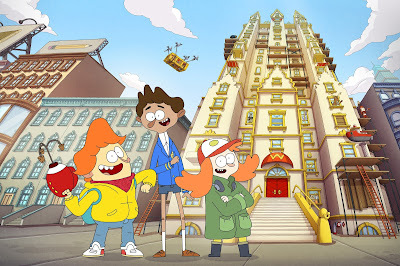 Friday 11th January 2019 at 10:45am on Nick Jr. - Mr. Elephant and His Flying Machine: Mr. Elephant crashes on his way to deliver a message to Tot Cop from next-door neighbour, Addie. Can Tot Cop and Officer Ruth find the important note? Monday 14th January 2019 at 10:45am on Nick Jr. - Yeti, Set, Go! : Tot Cop's patrol car is gone! His friend, Pudding, was looking for a place to nap when he accidentally set the car in motion. But Pudding can't drive! Tuesday 15th January 2019 at 10:45am on Nick Jr. - The Pudding Problem: Cookie Dog's diner is a mess! Could Pudding be the culprit? He does love pudding. But while Tot Cop and Officer Ruth have him in custody, the diner is struck again! Wednesday 16th January 2019 at 10:45am on Nick Jr. - Snow Problem: It's snowing and Tot can't find Sprinkles. Fuzz last saw him outside - what if he is lost in the snow? Tot Cop and Officer Ruth organize a search party to locate Sprinkles. Thursday 17th January 2019 at 10:45am on Nick Jr. - Egg-Cellent Investigation: Tot Cop and Officer Ruth play by the patrol car when a new case lands at their feet. Mama Bird's eggs are missing! Can they find them before they hatch? Friday 18th January 2019 on Nick Jr. - Secret Mystery Birthday: Tot Cop and Officer Ruth receive a message. If they ever want to see Tot Cop's birthday present, they've got to decode the message and unmask the Birthday Bandit! Nickelodeon, Nicktoons and Nick Jr. Too will start to air round the clock from Tuesday 1st January 2019! Click here for more details! From brand-new shows to all-new episodes, 2018 was another epic year on Nickelodeon UK! Take a look back at what made this year so awesome with Nick's Best Moments 2018 video at nick.co.uk! Schedule source: Digiguide; H/T: Huge thanks to @ThePearSource for spotting a typo! Follow NickALive! 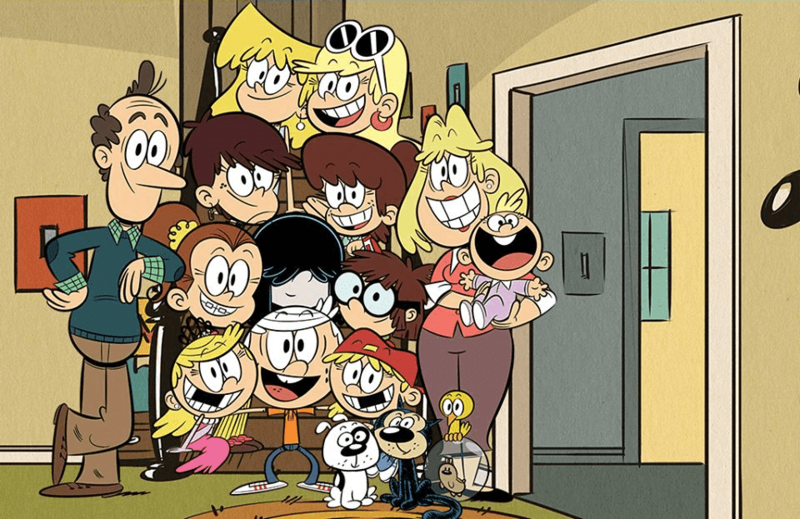 on Twitter, Tumblr, Reddit, via RSS, on Instagram, and/or Facebook for the latest 2019 on Nickelodeon UK, Nicktoons UK and Nick Jr. UK News and Highlights!